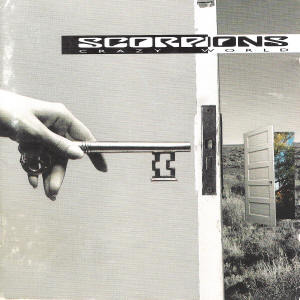 Crazy World is the eleventh studio album by the German heavy metal band Scorpions released in November 1990. Crazy World peaked at number 21 on Billboard 200 Chart for albums in 1991. The song "Wind of Change" reached number four on the Billboard Hot 100 in 1991, and "Send Me an Angel" reached number 44 on the Billboard Hot 100 chart. In the UK, it remains the only Scorpions album to attain Silver certification (60,000 units sold) by the British Phonographic Industry, achieving this in November 1991.